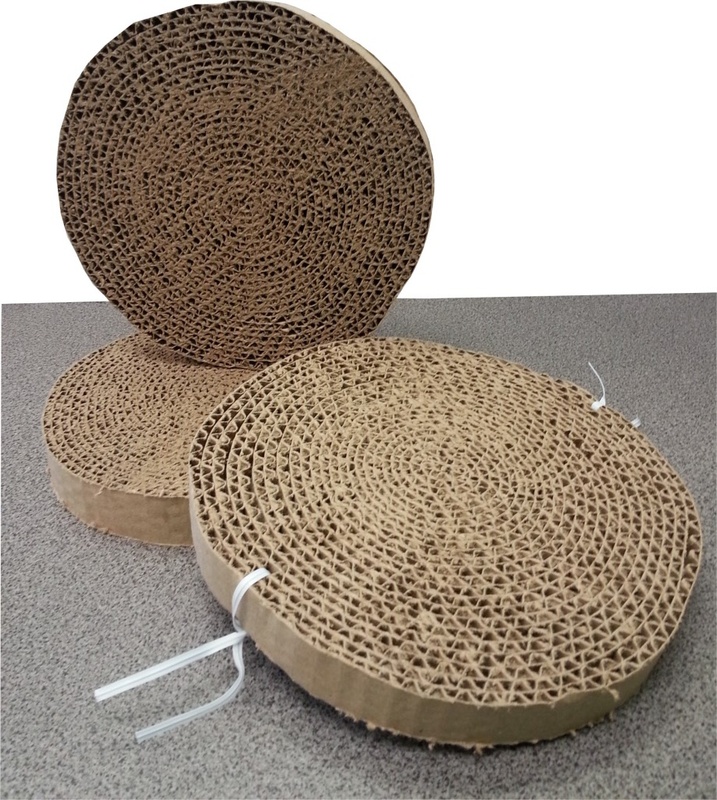 These rounds were designed to provide an outlet for what cats love to do; scratch and rub. 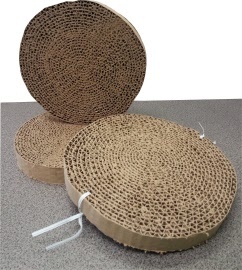 Attach to cage grating or place on cage floor. 2 twisty ties (unattached) are included for each round. Constructed of cardboard and food grade glue.